This Transgender YouTube CLAPPED back to Victoria Secret’s comments by making her own stunning commercial. This transgender YouTuber CLAPPED back to Victoria Secret’s comments by making her own stunning commercial. Nikkita Dragun is a transgender beauty blogger who had the perfect clap back to Ed Razek who serves as the CMO for Victoria’s Secret parent company, and is low key in all of the model castings. The model alliance of New York also expressed their disappointment: Such comments create a hostile work environment… when any part of our industry is excluded or oppressed, abuse is able to fllourish and hurts us all. We can and need to do better. But of course the damage was done and the fashion show suffered its worst ratings in broadcast history. 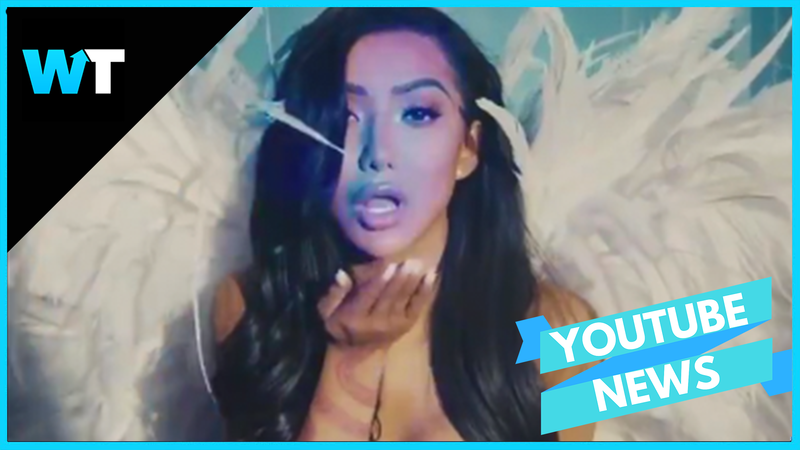 Social media declared the show dead and uneventful, and Nikita Dragun knew just what to do. The beauty vlogger posted a direct replica of the typical Victoria Secret holiday commercials, but with herself as the star. She shared the video on Twitter and people went crazy for it. Nikkita followed up with a tweet that said: “transphobia is CANCELLED”. What do you think of Nikkita’s clap back video? Let us know in the comments or on Twitter at @WhatsTrending.